BUDAPEST, Hungary, April 1, 2019 — (PRNewswire) — GRAPHISOFT®, the leading Building Information Modeling software solution provider for architects and designers, today announced the appointment of Huw Roberts as its incoming Chief Executive Officer. The leadership change at GRAPHISOFT is part of a stronger strategic focus on customers and markets by its parent company, the Nemetschek Group. The new Planning & Design Division, to which GRAPHISOFT belongs, is led by Viktor Várkonyi, GRAPHISOFT's former CEO. Várkonyi also serves as an Executive Board Member at the Nemetschek Group. Mr. Várkonyi, during his 27 years at the company, has contributed to several technology innovations that bolstered the widespread growth of BIM in the industry. During his 10-year tenure as Chief Executive, he tripled the company's revenues and helped consolidate GRAPHISOFT's position as the global leader in BIM for architects and designers. "GRAPHISOFT has been a central part of my professional career," says Mr. Várkonyi. "I was lucky to have been a part of its extraordinary growth during the past three decades. Looking ahead, I believe that 2019 will be a transformative year for both GRAPHISOFT and the Nemetschek Group, enabling great synergies between our sister brands. Huw Roberts brings to GRAPHISOFT exceptional business and leadership skills, deep industry experience, and a true passion for helping AEC professionals benefit from technology-driven transformation. I am confident that the company is now in the right hands to achieve its ambitious targets!" Capitalizing on a strong growth trajectory spanning the past decade, GRAPHISOFT sought to appoint an industry-savvy, energetic leader whose skill set and experience would quickly dovetail into the opportunities at hand and help catapult the company forward. The selection of Mr. Roberts, an accomplished industry veteran with three decades of leadership experience in both the software industry and architectural profession, reflects GRAPHISOFT's determination to make a significant strategic push toward the next inflection point in its market leadership. Mr. Roberts, an architect by profession, has held executive roles in product management, marketing, and business development during his prominent career, guiding the maximization of market impact and business value for leading technology companies. Highlights of his career include 17 years of leadership roles at Bentley Systems, a global developer of software solutions for the management of infrastructure assets, and the Chief Marketing Officer role at BlueCielo, a Netherlands-based company recently acquired by Accruent. As he assumes the top role at GRAPHISOFT, Mr. Roberts, who is a native of Philadelphia, USA, will relocate to Budapest, Hungary, the site of the company's headquarters. "Throughout my years in this industry, I have been impressed by the passionate loyalty of GRAPHISOFT customers and the inspiring architecture they produce around the world," says Mr. Roberts. "I have been equally impressed by the depth of commitment the team brings to serving our customers and partners through product innovation, industry know-how, and personal dedication." 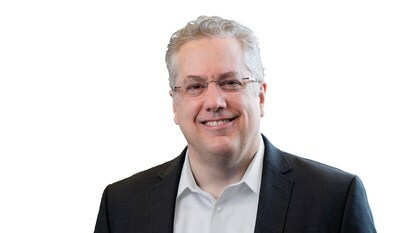 Commenting on why he believes the company is poised for success, Mr. Roberts observed, "The combination of technical excellence and innovation, a uniquely strong corporate culture, and consistent business success provides a rock-solid platform for the next chapter of GRAPHISOFT's growth. I am proud to join the team as we expand our capacity to provide solutions for, and advantages to, our users worldwide. I would also like to thank Mr. Várkonyi for his great work in leading the company's growth to its current strong and financially healthy state, which is a prerequisite to achieving our ambitious growth plans in the years to come." For more information on Mr. Roberts, please visit GRAPHISOFT's leadership page. For background on the Nemetschek Group restructuring, please visit the official Nemetschek press release. For additional information, or to schedule an interview with Mr. Roberts, please contact our media relations at Email Contact. GRAPHISOFT® ignited the BIM revolution in 1984 with ARCHICAD®, the industry-first BIM software for architects. GRAPHISOFT continues to lead the industry with innovative solutions such as its revolutionary BIMcloud®, the world's first real-time BIM collaboration environment; and BIMx®, the world's leading mobile app for lightweight access to BIM. GRAPHISOFT is part of the Nemetschek Group. To learn more visit www.GRAPHISOFT.com or follow us on Twitter at @GRAPHISOFT.